The Wellington based Studio MWA Ltd and davor mikulcic architect from Brisbane are a team consisting of internationally educated, creative, innovative individuals with an extensive international working experience in the field of architecture, interior design, urbanism, industrial design, research and development. In our studios we integrate architects, interior designers, planners, CAD specialists, and model makers, as a team collaborating to achieve the best design result we can achieve for our clients. Using modern Information technology, we simultaneously work on the same project from different parts of world. We find it interesting, quite unique and with opportunity to further enrich the quality of our designs. Our work consists of residential, commercial, public, industrial and urban design projects, interior design, research and University teaching. Our projects are recently predominantly located in the South Pacific region with some projects in Europe. As cosmopolitan studios with international working experience and international education, we find that as we are influenced by this multicultural exchange, with the use of this international exchange we are in constant evolution, searching out ways to achieve excellence in design in an ever changing world. We are as humans all different, and we strongly believe that our design solution has to be specific and individually orientated and reflects the individual requirements of our client. We are very passionate about design, and through our creative process we require all involved with us on our projects to show the highest level of creativity, enthusiasm, innovation, creative thinking, and passion to have same goal as we do - to achieve the best outcome for our clients. Our creative process and sharpening our ideas is usually a collaborative process involving other consultants, quite often through already established relationship working with them on previous projects. We like to work with them as partners who contribute, to refining our ideas. We are a teams, committed to delivering top quality design and projects for all our clients worldwide. Nic Ballara, an architect in partnership with others in Wellington since 2001, set up Poneke in 2016 to become Wellington's specialist urban infill practice. Poneke is an NZIA architecture practice, expert at working within design limitations and financial constraints, to create authentic and sustainable infill design projects within our urban setting. Good urban renewal is essential to both infill “missing teeth” from Wellington’s inner suburbs, and for redeveloping its many under-utilised properties. Unlike traditional suburban-piecemeal development, urban infill principles use surrounding urban fabric as context, activating neighbourhoods making them sustainable and lively. In this way increased density via suburban multi-units, subdivisions, inner city apartment conversions and laneways alike, all lead to well-designed and landscaped open-space with better community infrastructure. Working closely with developers means Poneke understands the risks and revenue potentials of our work, and the added value we bring clients with good architectural solutions. In short, we know our client’s “management of risk” drives development value, and that good urban infill projects allow great flexibility for us as architects, a win-win partnership that delivers results. 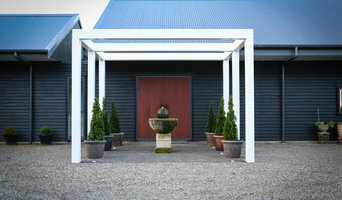 Architecture Plus Ltd are award winning architects based in Wellington. Our expertise is cultural, commercial, residential and interior architecture. Our practice has a recognised design focus and is committed to the creation of successful interior and exterior spaces. While architecture + is recognised for its contemporary work and leading edge solutions it does this with a strong emphasis on appropriateness and acknowledgment of time and place. As a practice we are committed to incorporating sustainable design solutions in all our projects to an appropriate level and in agreement with our clients. 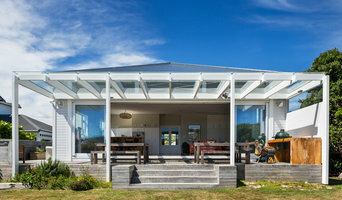 We are an award winning New Zealand architectural practice specialising in residential, community, commercial, adaptive reuse, and off-the-grid architecture. 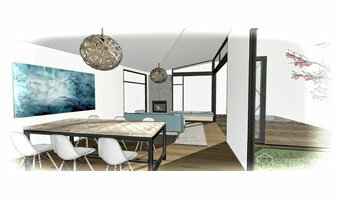 We have a team team of 23 architects, technicians, and interior designers with offices in Wellington and Christchurch. We work on projects around New Zealand. Our architectural services are based on three key processes: excellent communication, thorough and complete documentation, and best practice technology platforms. Renovators and lovers of character homes: We work on the aesthetic, technical and design challenges around character homes which amount to finding a way to move a building into the present day while preserving the links to the past, that make it so special. At Callidus we are passionate about heritage and have dedicated our business to specialise in renovation of character homes and buildings. We want to start a conversation around good quality homes and good quality neighbourhoods in New Zealand. Character homes and neighbourhoods have all those qualities – we would like to translate this into the future of the built environment of New Zealand. 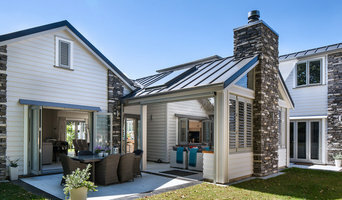 If your renovation is more than a simple benchtop replacement or roof re-tiling job, then it may be time to find an architect in Wellington who can manage your project from start to finish. Depending on the architecture firm you hire, the scope can span from planning sustainable design into your renovations, to selecting furniture and even interior finishes. An architect is often the first person you hire for your project. Before taking steps to find an architect in Wellington, ask yourself what you want to achieve from your renovation or home construction. Do you want to improve the liveability and sustainability of your home, or simply expand? What style of architecture do you prefer? Once you have established your motivation, research architects that have completed similar house designs in your Wellington locale and within a comparable budget to yours. Ideally, your Wellington architect will be involved in all phases of the design process, from the initial concept to the completed construction. Your architect may be needed to select and hire subcontractors (e.g. builders, engineers and landscape architects) just as they may need to negotiate contracts with stakeholders. A good client-architect relationship will ensure they are your biggest advocate along the way during construction. Find residential architects on Houzz. 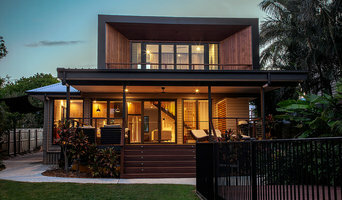 To find the best Wellington architect for your home design project, narrow your search to find professionals in Wellington. Then browse their latest projects and read reviews. You can also look through photos of projects to find an interior architect or designer who has worked on a project similar to yours.